To enable our real-time logic to be tested without talking over the network, we need to stub out our network code. Although it’s unusual, I’ve found that writing that stub code as part of my production system yields benefits in terms of simpler and more reliable tests. 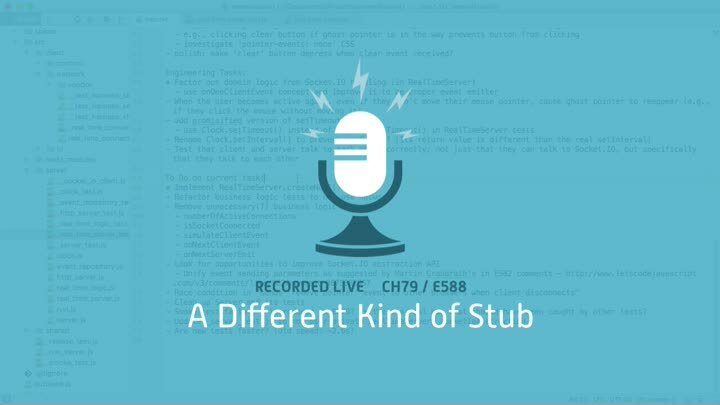 We start working on the stub code for our real-time server in this episode.